Something that I preach is that we woodworkers should use the best tool for the job. 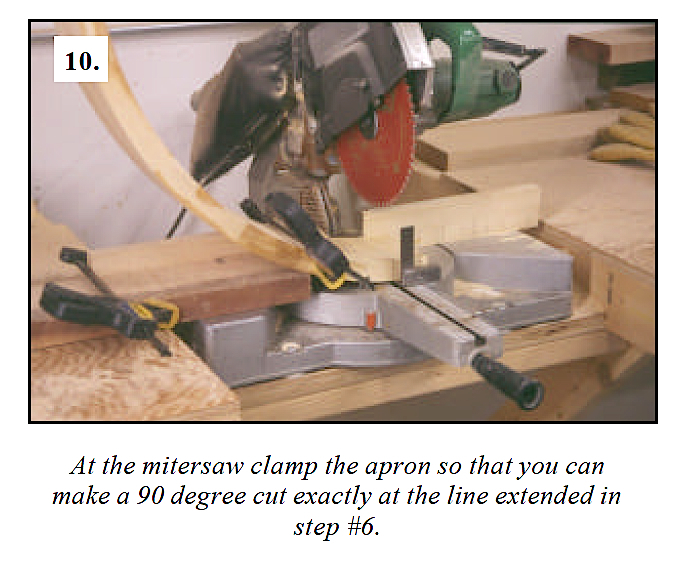 It that’s a table saw, jointer or big-honkin router, so be it. It the best tool is a handplane, egg-beater drill or sharp chisel, go for it. To be wholly dedicated to one woodworking discipline while ruling out others is nuts. 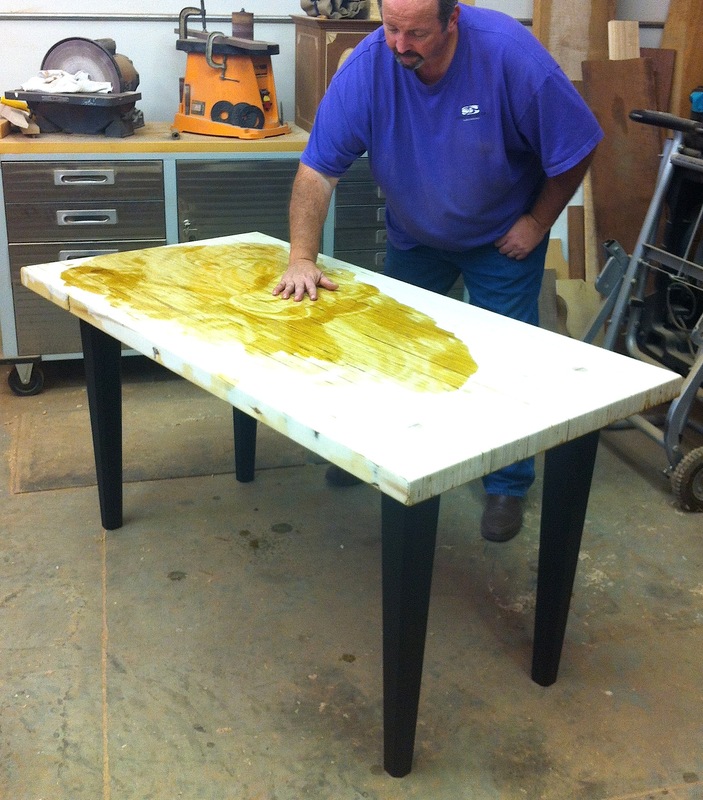 Years later, after hand tools began to play a bigger role in my day-to-day woodworking, I taught how to build that table at a woodworking school. When the time came to trim the apron, I grabbed my pencil and square, laid in the lines then made the cut using a hand saw. Of course, the cut was square and right. The difference was that I did not spend 20 minutes setting up the cut. What’s important is to choose and use the best tool for the job. In the photo below, I guess the tool would be classified as a hand tool. I know, however, that it is the best tool for the job. Why? No only does this tool make spreading the oil/varnish mix quick to accomplish and easier to direct finish were it’s needed, the process also warms the oil ever so slightly to better allow mixture to soak into the surface. Thank you… Have a great weekend. Ignorant generalization — would you tell a dedicated cyclist that he’s crazy for not using a motorcycle? I would certainly tell a dedicated cyclists that he should use a motorcycle. If the task was to fill a prescription for heart medication, a cyclist would be a fool to ride his bike to the store, if he had a quicker mode of transportation. If the task, however, was to enjoy a leisurely ride to the store (without any urgency), then the bike idea would be great. Most so-called “dedicated handplane users” I know allow the grunt work of board prep to be done with machines. (Even when power tools were not available, apprentices did that work.) Masters were (and are) adept at using their time more efficiently and effectively. I guess you can tell that I’m a dedicated “hand-tool-only” guy, and I can’t say that your response changes anything for me. I do want to say thanks for your considered and courteous response. Your “job at hand” is to use hand tools to build furniture. I, as I find with many woodworkers, look at the “job at hand” as building furniture. In my world, power tools often are the best choice. I think using a combination of a little bit of everything makes us all better woodworkers. The more skills I try the better I get at each. Well said, there are always many approaches to a task. A combination of them usually work best. To rule one out just because of a power cord is silly. To each their own, I do not tell people how to work. I mix it up and see the pluses and minuses of each. I recently put a drip edge on a installed window sill with a record 43 as it was better than setting up a router bit and I didn’t need a cord. I also planed some 2×4 stock with my delta planer for my workbench. Time is expensive and not infinite to me and I adjust accordingly.